Nursultan Abishevich Nazarbayev (born on July 6, 1940, Chemolgan settlement, Kaskelen district, Almaty region, the Kazakh SSR) – the President of the Republic of Kazakhstan. The first winter day of 2012 became another holiday for the people of Kazakhstan. On December, 1 2012, the country celebrates the Day of the First President of the Republic of Kazakhstan. The holding of the OSCE Summit, chaired by the President Nursultan Nazarbayev, allowed making a major breakthrough in strengthening of the international authority of Kazakhstan. Nursultan Nazarbayev was born on July 6, 1940 in the Chemolgan settlement of Kaskelen district of Almaty region of the Kazakh SSR in a villager family. In 1967 he graduated from the High Technical Institution at the Karaganda Metallurgical Concern. He started his career in 1960 as a worker of the building administration of the trust "Kazmetallurgstroy" in Temirtau, Karaganda region. Then he worked as a pig caster of filling machines, a keeper of blast furnace at the Karaganda Metallurgical Plant. In 1965-1969 - he worked again at the Karaganda Metallurgical Plant (since 1966 - Concern): dispatcher, gas watcher, senior gas watcher of blast furnace department. In 1969-1973 – he worked at the party, the Komsomol job in Temirtau, Karaganda region. In 1973-1977 - Party secretary of the Karaganda Metallurgical Plant. In 1977-1979 - Secretary, the second secretary of the Karaganda Regional Committee of the Party. In 1984-1989 - Chairman of the Council of Ministers of the Kazakh SSR. In 1989-1991 – the First Secretary of the Central Committee of the Communist Party of Kazakhstan. Deputy of the Supreme Council of the USSR on the 10th, 11th convocations. Deputy of the USSR from 1989 to January, 1992. In February 1990 - April 1990 - simultaneously the Chairman of the Supreme Council of the Kazakh SSR. The first nationwide election of the President of the Republic, during which N.A. Nazarbayev received the support of 98.7 percent of voters, was carried out on December, 1, 1991. In 1995, as a result of the referendum, which took place on April, 29, 1995 presidential powers of N.A. Nazarbayev were extended until 2000. N.A. Nazarbayev was elected as President of the Republic of Kazakhstan on January, 10, 1999, having received 79.78 percent of votes. N.A. 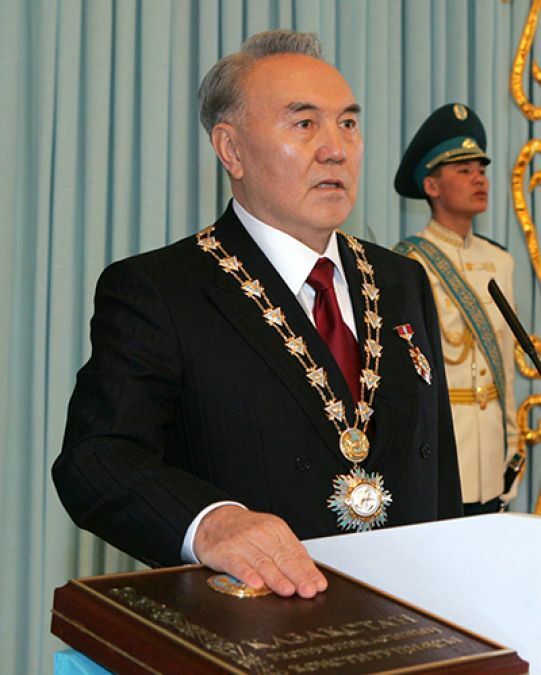 Nazarbayev was elected as the President of the Republic of Kazakhstan on December, 4, 2005, having received 91.15 percent of votes. The first winter day of 2012 became another holiday for the people of Kazakhstan. On December, 1 2012, the country celebrates the Day of the First President of the Republic of Kazakhstan. On December, 10 2011, the Parliament of the Republic of Kazakhstan adopted a decree «On Amending the Law of the Republic of Kazakhstan «On Holidays in the Republic of Kazakhstan». The main aim of establishing of “The Day of the First President” was to recognize and celebrate the outstanding achievements of the first President of Kazakhstan Nursultan Nazarbayev. The event that happened on December, 1 1991 – as a result of the first national elections, Nursultan Nazarbayev was re-elected as the President of the Kazakh SSR, served as the historical background and the basis for selecting the date of the holiday. He was the only candidate and won with almost 98.7% of votes at 88.2% of voters. One of the first decisions of the first president was to sign a decree to rename the Kazakh Soviet Socialist Republic to the Republic of Kazakhstan on December, 10 1991. Therefore, after six days – on December, 16 1991 the Supreme Council declared the independence of Kazakhstan, which meant the proclamation of a sovereign state of Kazakhstan. The first few days of December 1991 were crucial and indeed fatal for Kazakhstan in terms of determining the future development path of the independent Republic. Currently, Kazakhstan is considered by the international community as a modern democratic State. The first President Nursultan Nazarbayev, who heads the Republic since the establishment of this position on April, 24 1990, has a considerable merit. OSCE summit gave adequate answers to the new challenges and threats in its area of ​​responsibility, the Organization adapted to today's realities. The OSCE Summit gave adequate answers to the new challenges and threats in Organization responsibility area, adopted it to the modern realities. It is believed, that Kazakhstan's presidency is a powerful incentive for further convergence of this country with Europe and consolidation of democratic standards of living. 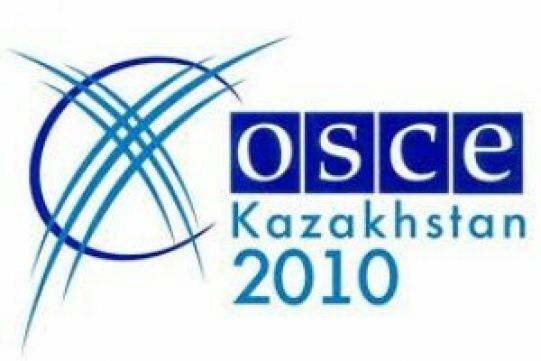 Kazakhstan's chairmanship in the OSCE allowed to synchronize the agenda of European and Asian organizations, each of which has more than 50 Member States. The geographical, political and civilizational position of Kazakhstan makes it a mediator between East and West in the literal and figurative sense.